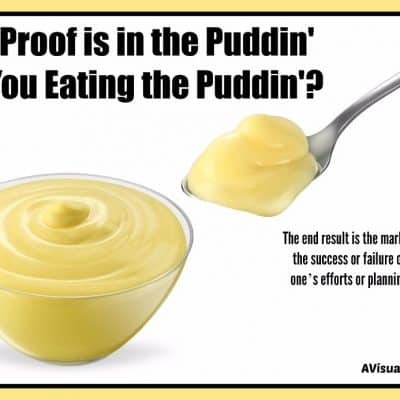 The Proof is in the Puddin’ – Are You Eating the Pudding? 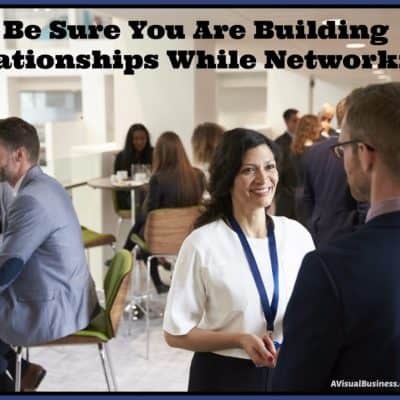 What Does Networking Mean & What It Shouldn’t! Be sure to look for the confirmation email to double opt in for my email list. Whenever I need to know how to do something with SEO, I know I can turn to Kristen for just the right assistance. She's at the top of the game when it comes to SEO and PPC marketing, and her knowledge has really helped me grow my online magazine. She's a great resource and her regular blog posts offer so much value. I treat it like a learning library. And you'll learn even more in person! With Kristen's help, my online magazine has grown rapidly. We're approaching our one year anniversary, and the growth we've achieved wouldn't have been possible without Kristen's instruction. If you need growth, call Kristen! Kristen is a powerhouse. She is one of the most knowledgeable people I know about SEO and social media. She consistently provides value of epic proportions. Kristen is generous and is a consummate professional. I highly recommend working with Kristen if you want to expand your visibility. If you want great SEO help, talk to Kristen! Kristen is amazing! She is incredibly thorough, easy to understand, and went above and beyond in the time we spent together. I feel equipped to make the changes she suggested and am ready to take my SEO to the next level. Kristen is professional, efficient, and a magic worker. She fixed a problem on my site I have been trying to sort for a few years, and she did it patiently and with no fuss. I cannot recommend her expertise enough. My only regret is that I didn't know her when I was setting up my site as I know she would have saved me much time and many headaches. If you want friendly, professional and expert help, you don't have to look further than Kristen. She is definitely my go to person from now on. Really appreciative of your resources. Thanks for sharing important info for the industry! I cannot say enough about working with Kristen. If you want fast, efficient and professional this is the place and Kristen is the lady!!! I tried the DIY and got so frustrated and resentful... one conversation with Kristen and she told me exactly what was needed to get my site up and running. I was so tired of DIY I asked her to GO FOR IT... and she did. I couldn't believe how quick Kristen took care of things that I had been working on for not only hrs but in a couple cases... days. I am over-the-moon happy with how things turned out and I know that Kristen will be my GO TO GIRL for all website and online needs from here on out. Don't waste your time on DIY... Kristen has you covered!!! What a great experience I had working with Kristen. I've worked with other SEO companies in the past who talked a great game, but didn't really do a whole lot. Kristen goes above & beyond to make sure you understand exactly what it is she's doing and why she's doing it. I've learned quite a bit and enjoyed the processed. There are no words to express my gratitude for all that Kristen Wilson has done to enable me to grow as a business owner, with a global presence. She is "brilliant"! Extremely proficient at her craft; she is efficient and genuinely cares about her clients. She has diligently handled every concern and need large or small (SEO, blogging, website building, pluggin questions, coaching and so much more) for our organization with an extreme level of importance. Thank goodness for "A Visual Business"! Thanks you sooo much for all of your patience and professional assistance with my website! Just Brilliant! I live in the UK and have had several Skype calls with Kristen to help me with some SEO work on my corset business. I ranked silly like on pages 40 nine months ago, now on several keywords i am on page 3! In my niche, that's pretty impressive. I would highly recommend working with Kristen if you need help with any SEO work, she's great. Kristen knows her stuff. She gave a great seminar today at the League City Chamber and reinforced why I need to use Social Media more. I am so glad I just happened to see this class announced on Facebook! I'm new to Texas and starting a new business . . . in case you didn't know, it's very difficult to start a business when you know no one! I learned so much in Kristen's class! I've already made some changes to what I was already doing and begun using ideas and applications she suggested! Kristen took a subject (SEO) about which I was completely ignorant and frankly, afraid of, and made it understandable. After just an hour with her, I'm confident that I can implement the changes she suggested. Her professionalism and knowledge are exemplary. I will heartily recommend you to others! Thank you! I took a class with Kristen on Social Media and while I knew a bit about how Facebook works but after the class and some additional question and answers, I began to understand better how it works. I just wish other people and business owners understood the filters in Facebook and the value of the comment and share versus the like. I would highly recommend Kristen’s classes, using her services or having her help you with a consultation as it would be valuable to you and your business. Kristen Wilson of A Visual Business knows about search engine optimization and social media marketing. Just a few tweaks here and there to my website and I have seen a difference in the stats. I really like how she also takes the time to not only explain what she will do, but breaks it down into laymen terms so I understand just how it will benefit my business. She's been a real treasure to work with! I have been impressed with Kristen's knowledge since the first time I met her. She knows her stuff when it comes to SEO, and she will help you maximize your efforts. Having a website isn't enough. We must know how to best attract the RIGHT people. Since applying her suggestions, my website has been in the top three with search engines. Get seen by using her services. Kristen is a marketing machine, period. Results driven and client centric creating a perfect match for my clients and my way of doing business. Her attention to detail and organizational skills are unmatched along with the fact that Kristen is consummate professional. I had the pleasure of attending Social Media/Network Marketing training today with Kristen Wilson, the owner of A Visual Business. She has a refreshing approach to a tedious process we all deal with, Internet Marketing. I was immediately able to take her ideas and implement them on my company's Facebook page with instant results. No sooner had I made the updates she taught in class, than responses started pouring in. If an Internet presence is key for your company, if curb side appeal is and element used in your Social Media, if you want to be the one that stands out in your industry, then Kristen has the components you've been looking for. The great thing is that the information is in a digestible format and will give you the edge you need to get your company noticed. I had a great call with Kristen this week, her one hour consultation was brilliant! Very informative, gave me everything i needed and more. Highly recommend using this service. I have known Kristen Wilson for several months and have worked with her not only on my site but as a partner with one of my own website development clients. She is knowledgeable, responsive, thorough and very easy to work with. I would highly recommend her for anyone who is looking with help on SEO or PPC for their website. I started working with Kristen about a year ago. I just started researching around on creating a new website for my company and I ran in to her at a local networking group. She helped me create my current web page and boosted it to the top 3 home inspection web sites with in 7 months. She is always by the phone and is happy to help . Thank you Kristen for all your hard work and your honest opinion it really shows in my business everyday. I can't recommend A Visual Business strongly enough. I have spent thousands of dollars on traditional magazine ads that yielded little to nothing in return. Kristen goes out of her way to ensure that her customers are happy and well taken care of. She always exceeds our expectations. When I reached out to AVB, Kristin reviewed my website in advance, and at our first meeting, she suggested a lot of improvement before we initiated the contract. Within days of moving forward, our new patient volume increased dramatically. We have been consistently busy ever since. Kristen is working with me on my Website with Terrific results. She has helped me understand the importance of local content and persuaded me to blog more often. She's also made very constructive insight on layout, design and general website flow. I highly recommend her services.